Popular sports radio/Tv media personality and politician, Dipo Liadi will today be unveiled in a sponsorship deal to Russia 2018 world cup by Oxford commercial services Limited. The sports journalist expressed his delight at the partnership stating that a partnership of this level is a total victory for all sports journalists at his level and for those coming behind him. “It's a deal that inspires more believe and the property company should be hailed for daring to sponsor a trip to Russia. 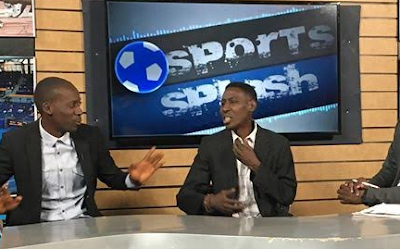 This is great and I call on more companies to power more sports media personalities to future events as this will help boost their brands” Dipo Liadi stated. Dipo Liadi closed his remarks with Russia here.